The special event celebrates the release of Philip Warburg’s new book, “Harness the Sun: America’s Quest for a Solar-Powered Future“. From inner-city neighborhoods and industrial wastelands to the open desert, the book traces solar energy’s remarkable ascent and introduces readers to a surprising collection of pioneers transforming the way we power the American economy. Please come, show your support for Mr. Warburg, as well as your interest in a green future for America. And, say hi to Beaumont Solar’s CEO Phil Cavallo while you’re there! Phil’s initial intention was just to keep on selling big commercial signs. It only took a few months, though, for his entrepreneurial drive to kick in. He looked at Beaumont Sign’s 1,800 loyal customers and said to himself, “There’s something else we can sell to those customers besides signs.” Initially he thought of small-scale wind turbines. Turning to a colleague at Beaumont, he asked: “Hey, is there a big difference between putting up a wind turbine and putting up a billboard? It’s got a foundation, it’s got a tower, it’s got a sign at the top.” The colleague was OK with the idea, so they gave it a try. After being hired by the State to take down twenty-two turbines that were improperly permitted, they set about building some new ones, but the slow pace of moving wind proposals through local planning bodies sapped their ardor. Starting small, Phil sent Beaumont crews to install a few arrays on residential rooftops in neighboring Dartmouth, Massachusetts. He calls this the “off-Broadway performance scenario’: Soon enough, he had twenty-plus home solar contracts on his desk, and his new line of business was drawing the attention of the local media. 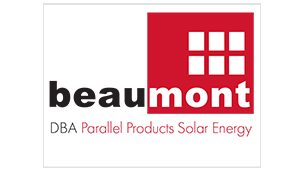 It was the right moment to make the leap to larger projects, and to give the company a new name: Beaumont Solar. The timing was perfect, as BlueWave’s DeVillars and Morrissey were ready to move New Bedford’s solar initiative forward. The transformed sign company landed several plum jobs. One of Beaumont’s breakthrough projects was a sao-kilowatt PV facility just across the street from New Bedford High School. Like the school itself, the solar array was built on a closed, capped landfill. It now supplies a quarter to a third of the high school’s electricity, but Phil says this may increase if the building’s roof passes muster as a secure spot for additional panels. We peer through a chain-link fence at several dozen orderly rows of panels before heading out to Sullivan’s Ledge, a former waste dump so polluted that it remains an actively treated, EPA-designated Superfund site. Once a quarry, Sullivan’s Ledge was used by local industries through much of the twentieth century as a dumping ground for waste oil, PCB-laden electrical capacitors, other volatile chemicals, and demolition materials. It was fenced off in 1985, but it wasn’t fully capped for another fifteen years. Even today, an on-site treatment plant pumps and decontaminates groundwater while a network of vent stacks channels the release of landfill gases. When Phil and I arrive, a specially trained crew is ever-so-gingerly preparing the earthworks for a 2-megawatt PV array. We walk out onto a muddy stretch of land where two guys operating miniature excavators are carefully digging a trough for the electrical cabling. To protect the clay contaminant barrier that is buried just 36 inches underground, there are strict weight limits-s pounds per square inch-on all equipment allowed at the site. The excavator operators know that their small, smooth-edged shovels can dig no deeper than r8 inches as they work the soil. The first few hundred ground mounts for solar panels are already in place along a stretch of Rat land abutting a cluster of self-storage sheds and a gas station. Hefty, above-ground concrete blocks hold tri­ angular steel braces in place-a safer mounting technique for panels than driving steel poles deep into the ground given the site’s pollution hazards. Ultimately this facility, with its eight thousand PV panels, will save New Bedford about $2 million in electricity costs over a twenty-year period. In all, New Bedford’s solar initiative is expected to supply about 6o percent of the municipal government’s power needs, reducing its electric bills by about $I million annually. Better still, the city has incurred no capital costs because the solar installations are all owned and operated by a third party. Power purchase agreements with companies like SunEdison and Con Edison Solutions set fixed electric rates that are well below what the city has been paying for its power. And on top of those financial benefits are the local jobs at firms like Beaumont Solar. Fifty people are employed at Beaumont today, and quite a number of them have come straight out of the vocational education program at New Bedford High. Beaumont has paid for others to attend night school, to get trained as licensed electricians. Several have come from troubled homes. “It’s sort of a shot in the arm to get these kids feeling good about themselves;’ says Phil. 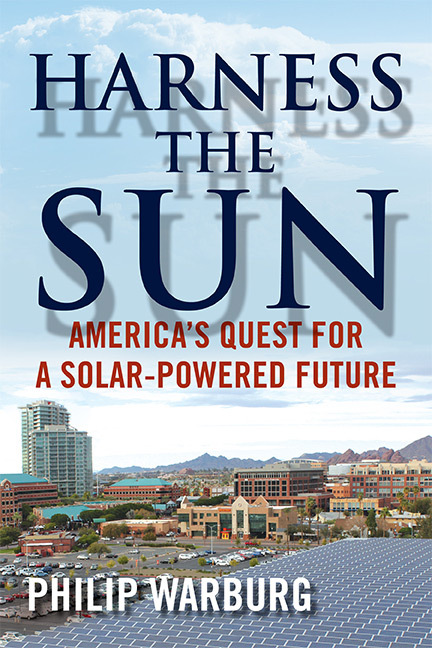 Order Harness the Sun: America’s Quest for a Solar-Powered Future from Amazon!